As part of the ongoing repositioning process, Kwara TV today took delivery of a new 150 KVA Mikano generating set. This is to ensure the station enjoys uninterrupted power supply. We all know how important power is to broadcast stations. 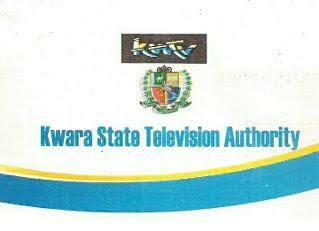 Speaking with Midland reporter, the Senior Special Assistant to Kwara State Governor on Media and Communications, Dr. Muyideen Akorede said KWTV is set to take its rightful position in the nation's broadcast industry after its full digitization. He announced that all required equipment to aid digitization of the station have been procured and installed. The SSA Media assured that additional recording studio with digital facilities would be put in place for the station for efficient service delivery. On Radio Kwara, Dr. Akorede said a brand new Transmitter for Radio Kwara and two for Midland FM would arrive next month to improve the reception of the station. He also pointed out new digital studio would be installed for Radio Kwara One AM station, while AM station transmitter would be repaired to improve its signal. The SSA Media also assured that new modern equipment and structures would be provided for The Herald Newspapers to enhance their productivity. Doctor Femi-Akorede reaffirmed the resolve of Governor Abdulfatah Ahmed towards restoring the lost glory of the state three Media Houses. In his reaction, the General Manager, Kwara State Television Service, Alhaji Abdulfatai Adewale Adebowale explained that KwaraTV would now be reckoned with in the North Central region of the Country as hurdles hindering the performance of station have been surmounted. Alhaji Adewale- Adebowale lauded Governor Ahmed for resuscitating the media outlets and promised to inject vibrant media contents for the viewing pleasure of their audience.